Ok, so most stereos, computers and television sets usually come with their own speakers. But what if you want to improve the volume or sound quality of your audio? This is when a new amp or soundcard can come in handy. Let’s start by explaining what exactly each one does and how it can be used to boost your audio experience. An audio amplifier or ‘amp’ is an electronic device which amplifies low-power audio signals to a level suitable for driving loudspeakers. It is the final stage in a typical audio playback chain. These low-power audio signals are composed primarily of frequencies between 20 hertz and 20,000 hertz, which is the human range of hearing, although this isn’t something you really need to worry about. An audio amplifier can be used in conjunction with your stereo or television and a set of loud speakers in order to give increased sound volume and quality. It is becoming a mainstay in modern home cinema and audio. A sound card serves much the same function as an amp, but is used in conjunction with computer equipment such as your home PC. Sound cards usually use a digital to analogue converter, which converts digital data into an analogue format. The output signal is then connected to headphones, speakers, recording equipment or even an audio amp for increased volume. Buying a new soundcard for your PC can greatly improve the quality of the audio generated by your computer whether you’re playing video games, listening to music or even if you just enjoy that friendly Windows start-up tune. There are several different classes of amplifier, the most common being A, B, A/B and C. Each class has a slightly different method of amplifying your audio signal and provides different results. Let’s have a look at the 4 most common classes. Class B – The majority of modern audio amplifiers are Class B, as they are much more efficient. Although they generally produce more distortion, modern technologies have reduced this to the point where it can barely be detected by the human ear. Class A/B – Class A/B was created in order to take the best parts of both methods in order to reduce the distortion created by Class B amps. Unfortunately, this method creates its own different form of distortion and so Class B technology remains the most commonly used. Class C - Class C amplifiers conduct less than 50% of the input signal and the distortion as when the output is high, but high efficiencies (up to 90%) are possible. Some applications, megaphones for example, can tolerate the distortion. They are much more commonly used in RF transmitters, and do not make particularly good amps for stereos or television sets. 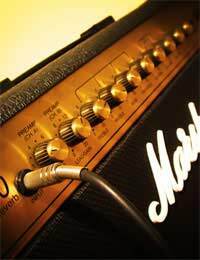 When it comes down to choosing the actual make and model of amp, it is largely down to personal preference. Many people in fact believe that all amps sound fairly similar, but experts insist that there are subtle differences which should help to determine your choice when buying your new amp. Always insist on a demonstration and choose the amp that suits you best. A factor that might be even more important than the sound produced is the number of inputs and outputs available on the unit itself. Make sure it has enough inputs to take in all your applications (TV, stereo etc.) and enough outputs to facilitate all your speakers. So how do you find the best sound cards? Well, the truth is, it is largely down to brand and price. Creative Labs are still widely considered to be the best manufacturers, followed closely by Audigy 2. Generally, the more you spend, the better the quality of the audio produced. As with amps it is also important to take audio outputs and inputs into consideration. While a lot of low level sound cards will only come with 1 or 2 of each, higher end products will come with an array of different ways of feeding audio both in and out of your PC. Again this is a matter of your personal requirements and preference. It is also worth remembering that sound cards can have an adverse affect on your computer’s processing power, therefore the more powerful your processor, the better the audio performance.